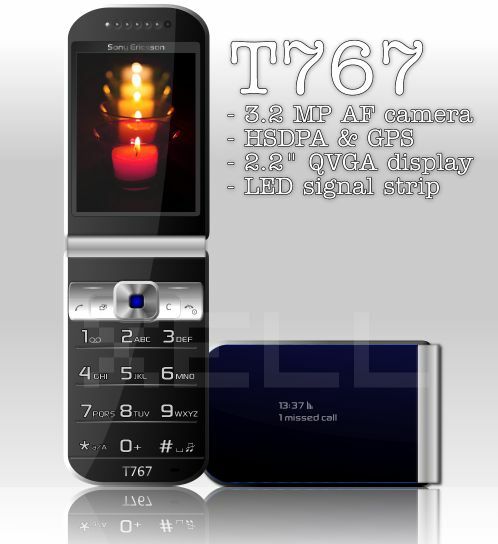 Xell from the Esato board introduces the T767 concept phone as the successor for Z750, claiming that the “Z” series will vanish sooner or later. The specs of the device make this handset a mid-to-high-end phone. We’re talking 3.2 megapixel autofocus camera, HSDPA, GPS and a 2.2″ QVGA display. And all of that packed in a clamshell device, a rather tiny handset if you ask me.